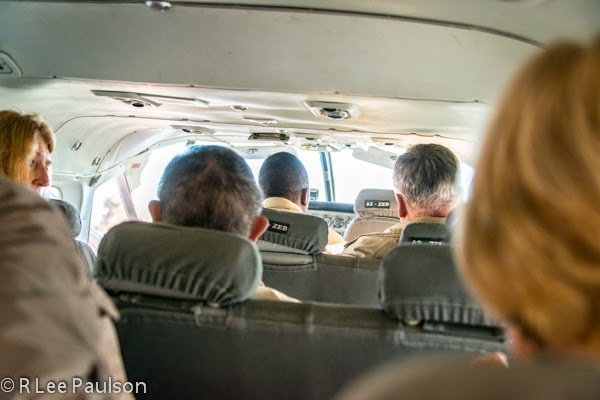 Our Cessna Caravan was configured for 14 passengers, which made it a tight fit for my long legs. They have a turbine engine and cruise just over 200 miles an hour. They also take off and land on relatively short strips. 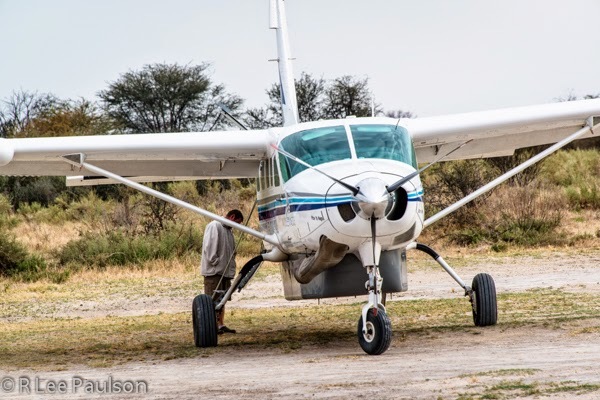 Perfect for bush flying in Africa. 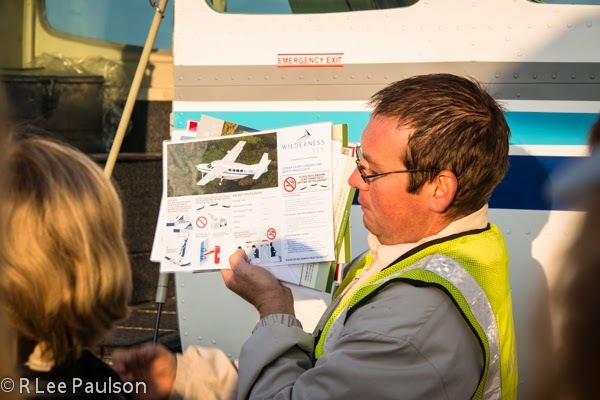 We got our briefing from the South African pilot and were off. It was a bit claustrophobic, to be honest, but mercifully the flight only lasted a bit over an hour. 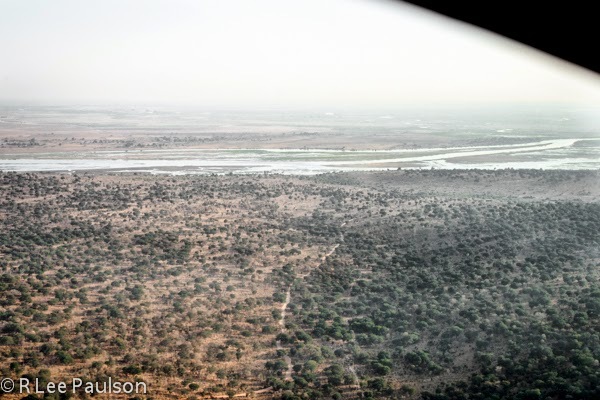 An aerial view of the Chobe River as it passes through Chobe National Park in Botswana. It is part of a multi-country system of national parks and game reserves that was discussed earlier. Another view of the Chobe River. Huge chunks of Botswana are desert. 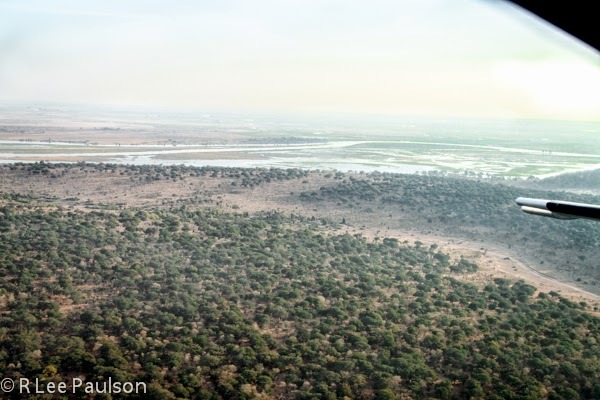 But in the north, the Chobe river to the east and the Okavango River in the west provide the necessary water for literally millions of animals. 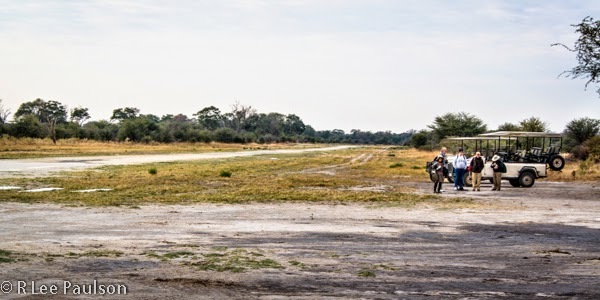 We landed on this dirt strip near Maun, Botswana. 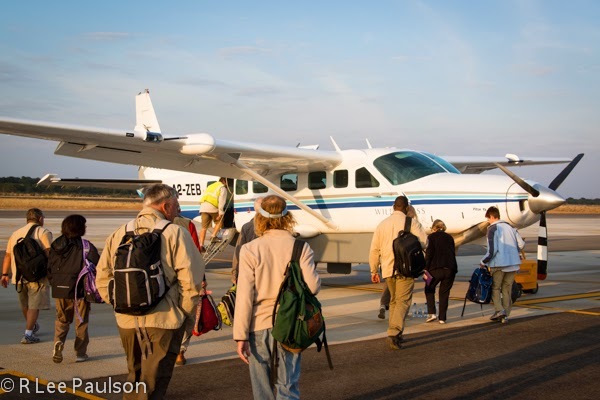 We are just south of the Okavango River delta, a huge, over 6,000 square mile, inland delta that is all designated as a national park/game reserve. They parked the plane on the dirt. We got out. The folks waiting for us in the photo above this one, got in. 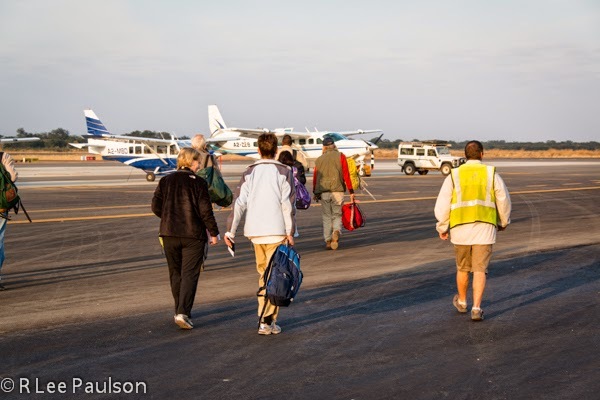 They were off the ground, back to Kasane a few moments later. Next time, a lion watches the plane take off. Continue on to Post 10: Lion Watches Plane Take Off. We Watch the Lion, by clicking here.